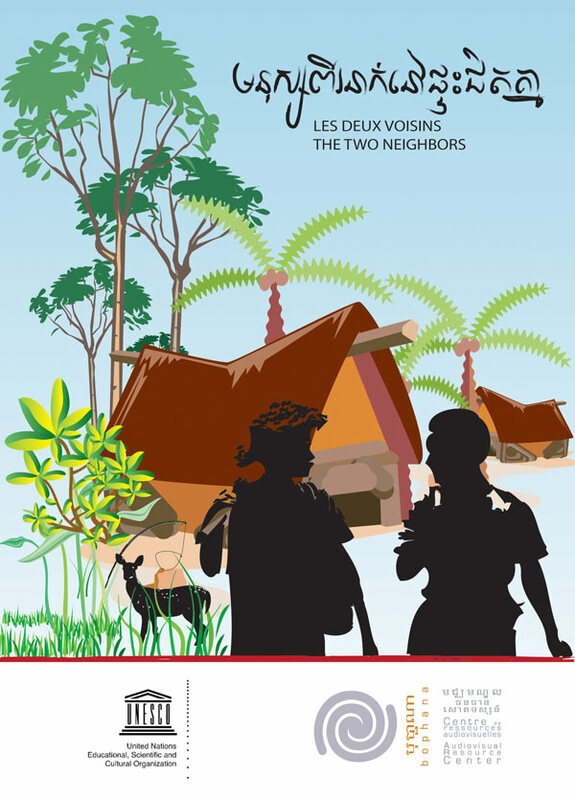 “The Two Neighbors” is a short film for children and played by children. It is an adaptation of a Cambodian traditional folk tale. Chan and Sok are two hunters; and they live next door to each other. They are friends until Sok steals Chan’s trap. The two hunters decide to go find Judge Parrot who agrees with Sok. With the help of a monkey herd and the Hare, Chan will do anything to expose the truth.